Social Media/Networking Buttons are a great way of getting peoples attention as well as saving space on your blog or website. You want them to look nice, stand out and fit your blog. This tutorial will go through how to instal them onto your blogspot blog and how to add a hover effect. A quick Google search "social networking buttons" will throw up loads of results. Such as this site with 55 different buttons or this site with standard buttons. You need to be careful of copyright when getting buttons this way. You can also get buttons from my design shop (by clicking store above) or check out the freebies available on this blog. 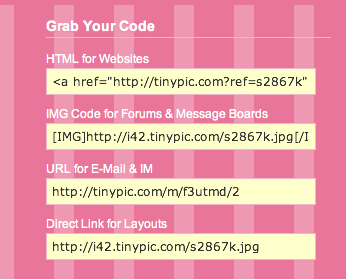 You need to upload the buttons to a hosting site, such as Tinypic. This will give you the image link to then use in your html code. NOTE: If you have the updated blogger, this may look different. The URL image link is the "Direct link for layouts", it should look something like this, depending on what hosting site you are using. 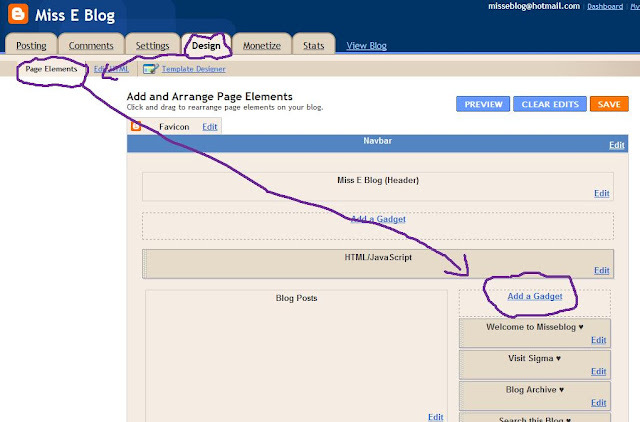 If you write the code for each link one after another, blogger should automatically place them beside each other, until you run out of column space. Then it will go to the line below. Check out how to link images/pictures to pages/websites.